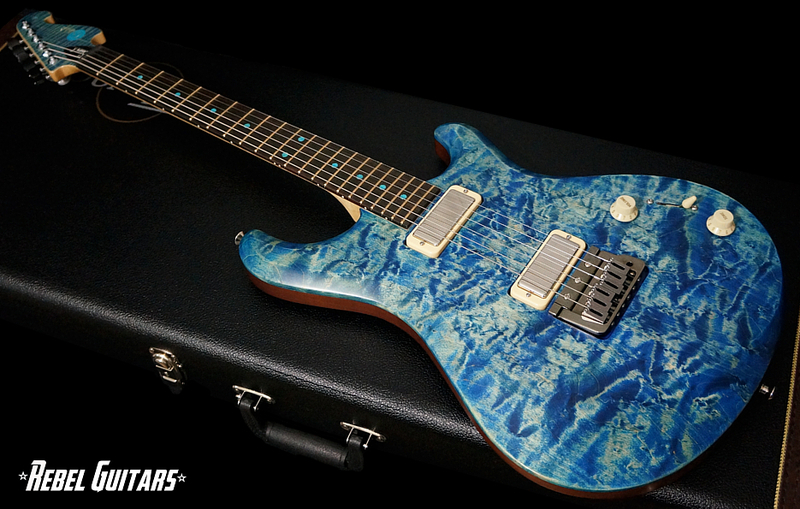 The Knaggs Chesapeake Tier 3 Severn X Trembuck features a Curly Maple setneck design with a Maple/Swamp Ash body designed and built by famed builder Joe Knaggs. 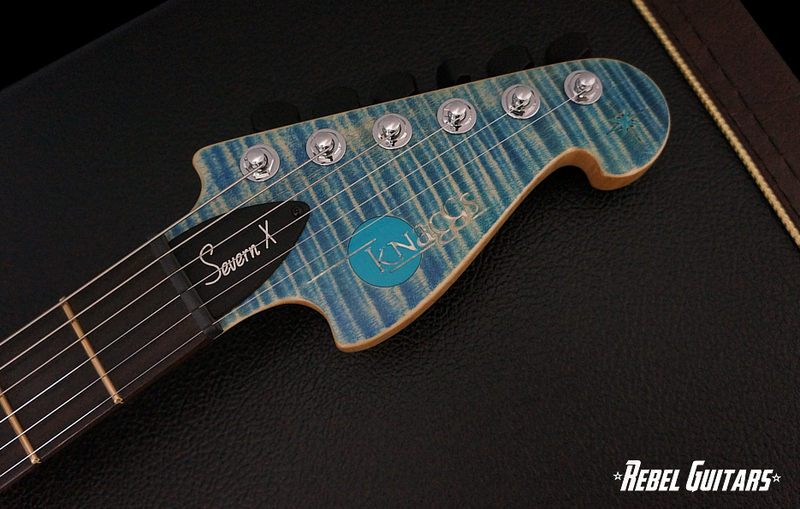 The new Severn X model features a slightly wider nut and flatter radius, jumbo frets and locking tuners. 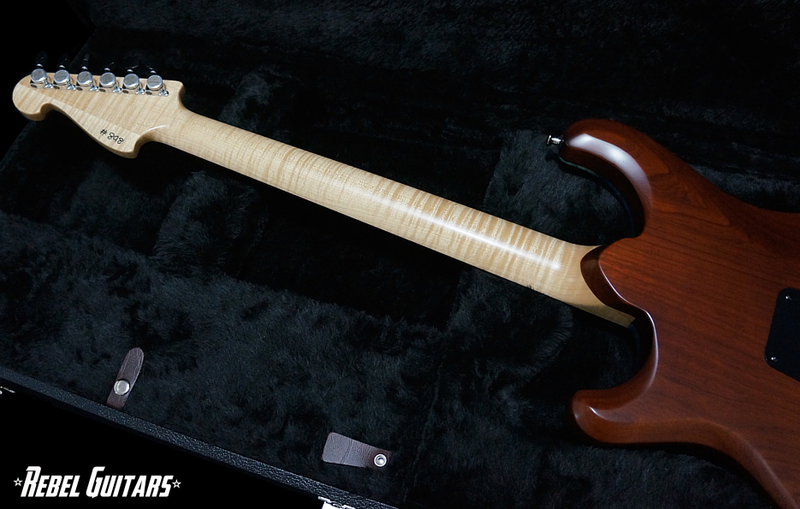 Pickups are a Lollar Firebird set. 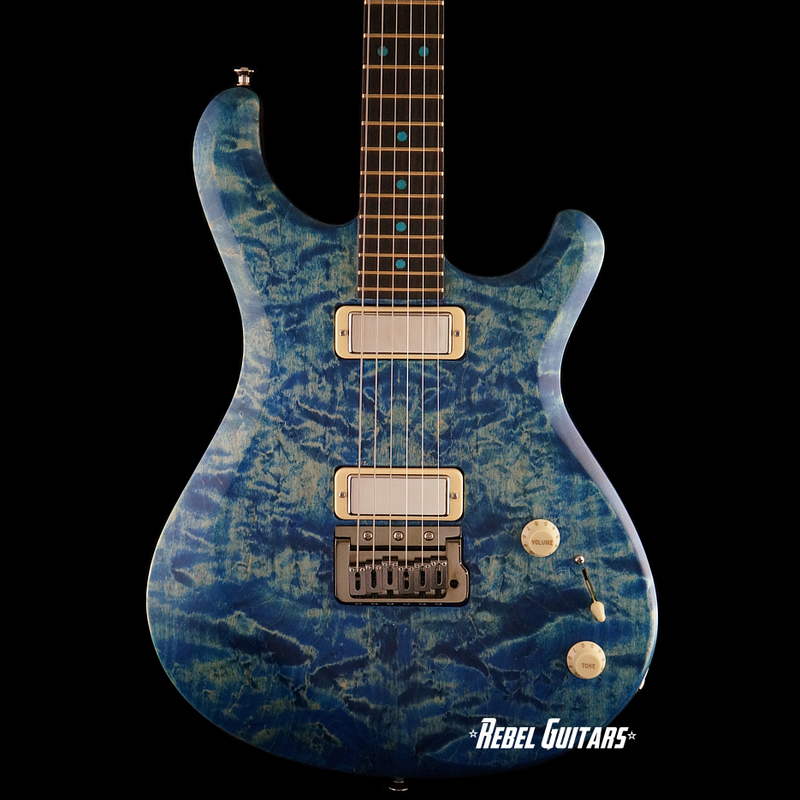 Standard Severn features include a 25.5” scale, and Knaggs’ proprietary Chesapeake Tremolo designed to allow for increased string vibration and sustain. 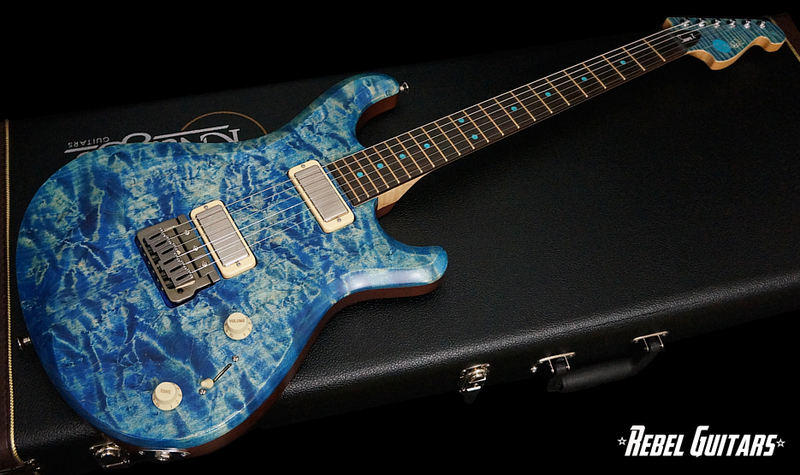 This one is finished in Turquoise with matching headstock and inlays.